There are two things that I am really bad at… lying and keeping secrets. I’m not the person you want with you in Vegas – what happens there will inevitably make it into innocent conversation back home. I think that partners in your data strategy should have this same ‘problem’. They should be open, honest and transparent about how they capture and manipulate data. I’m not alone in those thoughts. Some of my industry peers are even advocating that data should come with a “nutrition label” so that marketers can know where the data comes from and its freshness. What’s the common key to the data? Name/address, email, MAID? How do you capture that data? Is it modeled? What’s the input data? How is it captured? At what level is the data captured and created at? Individual, household, geographic? Who does the data provider work with? Are they reputable companies? Can I speak with a reference of yours? I know that many providers out there have a ‘secret sauce’ – there are some things that are confidential, but if that confidential data or process can’t be clearly explained, it’s better to walk away than find yourself working with data that you don’t have confidence in. 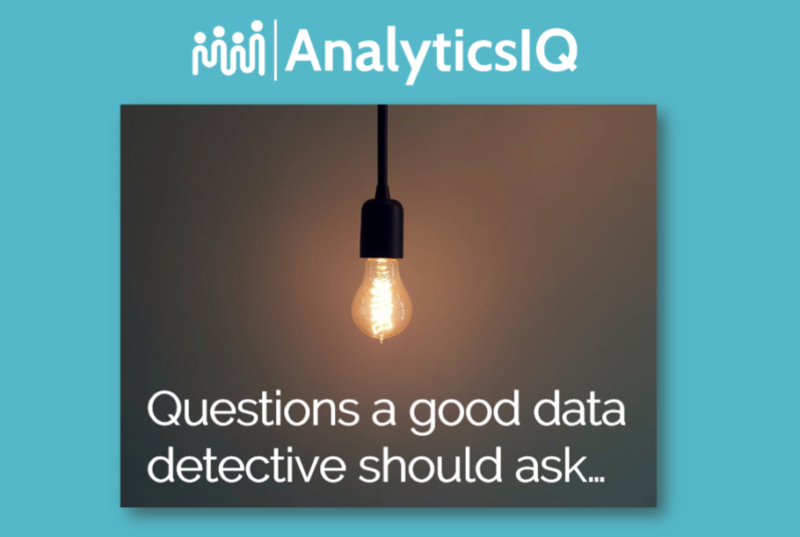 I have been lucky enough to find a group at AnalyticsIQ that are as bad at lying and keeping secrets as I am. We believe that our partners need to know and understand how data is created. As data creators, we have a responsibility of transparency. If you feel like talking data or asking us these questions yourself, send us a note!